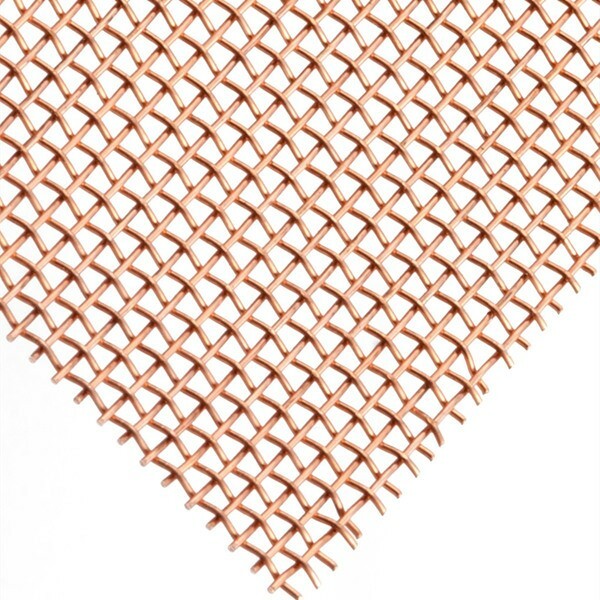 ﻿ Copper Woven Wire Mesh - Woven Wire Mesh - Anping County Zhuoda Hardware Mesh Co., Ltd.
Copper wire mesh is a plain square weave (over one, under one) wire mesh fabric. Excellent thermal and electrical conductivity and is easily soldered. Copper mesh is ductile and malleable, but not as strong as brass. Snail control- any copper mesh may be used (selection would be based on strength and appearance). The snail receives a small but unpleasant electrical shock when it contacts copper mesh. Gardeners build small ground barrier strips or wrap stems and trunks with mesh bands. 2, 4,or 8 meshes would be a good choices for small snail fences. 22 mesh is a sturdy, easily formed mesh that wraps easily.